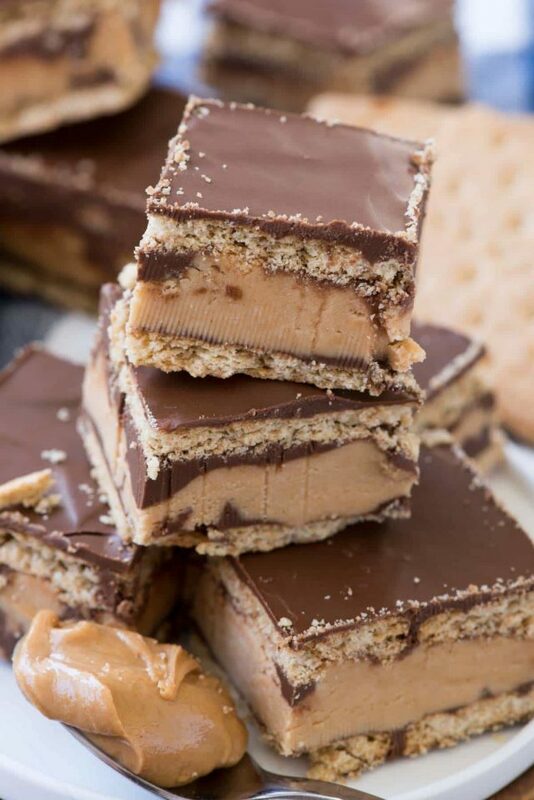 Disneyland Peanut Butter Sandwich Bars – this no bake bar cookie is better than the Disneyland Peanut Butter Sandwich. Graham crackers sandwiched with a thick peanut butter layer and covered with chocolate! And these are BETTER than Disney, because they don’t require any dipping! The first time I had a Disneyland Peanut Butter Sandwich, Jordan was about 4. It was our first visit to Disneyland in close to 10 years (and it was before blogging). This was back in the time when I’d just pick one or two desserts to try instead of all the things, and since Mel LOVES peanut butter and graham crackers, I decided to get a peanut butter sandwich. I’ll tell you something, I’m not a huge PB&J fan, but this peanut butter sandwich? It’s one I can get behind. The original sandwich has two graham crackers sandwiched with a thick peanut butter mixture and then the whole thing is dipped in chocolate. It’s the size of half a sheet of graham crackers so it’s HUGE. And it’s DELICIOUS. Mel actually ate dessert (right?) that trip, and every time we’ve been to Disney since, I always buy one so he can eat a bite. I’ve been wanting to make a Disneyland peanut butter sandwich recipe for years now, but I’m always too lazy. Making them means dipping the sandwich in chocolate, which, to me, means a huge mess. I cannot dip things in chocolate without making a mess. Plus, it takes f-o-r-e-v-e-r and I’m super lazy. I was determined to make these Disney treats easier and now I have. You guys: I MADE THEM INTO BARS. That’s right, my friends: Copycat Disneyland Peanut Butter Sandwich BARS. I have to say, these peanut butter sandwich bars went down even easier than the Disney original, and they taste better too. Also? They’re easier to make. They start with a layer of graham crackers in a pan. No need to crush or crumble or mix them, just place them in the pan. On top of that goes some melted chocolate. I don’t have an aversion to melting it, just dipping in it. The melted chocolate chips hold the grahams together and hold the thick and creamy peanut butter layer on top. Then you sandwich another layer of chocolate, grahams, and MORE chocolate! These are chocolate covered peanut butter sandwich bars, and they’re so good. I’ve been told they’re something like some sort of chocolate bar from the 70s…but I’m not sure what that is since I was born in the 70s, lol. If you love Disneyland food as much as I do, be sure to check out my list of the 16 things I love to eat in Disneyland, along with the links to all of the recipes I’ve made copycats for…so far. 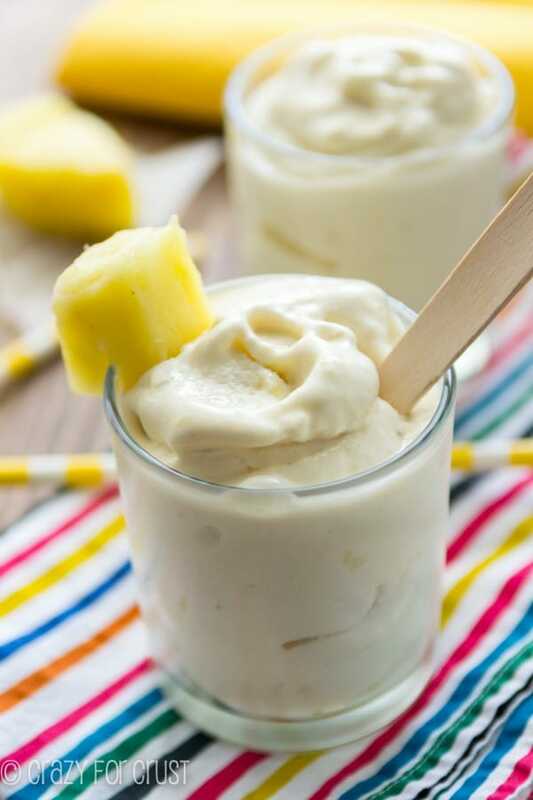 Speaking of Disney copycat recipes, I found some delicious looking ones that I would love to try! Over on CopyKat recipes, I saw a recipe for Truffle Macaroni & Cheese Bacon Hot Dog (inspired by Disney Hollywood Studios). And tell me how freaking cute these Disney’s Pop Century Mickey Mouse Oreo Cupcakes from Big Bear’s Wife are! Don’t skip the shortening when melting the chocolate. It helps it melt easier (without seizing) and it helps the final product cut without splintering. If you don’t have shortening you can use vegetable oil. It’s much easier to cut these if you line the pan with foil or parchment paper for easy removal. Just don’t forget the nonstick cooking spray. 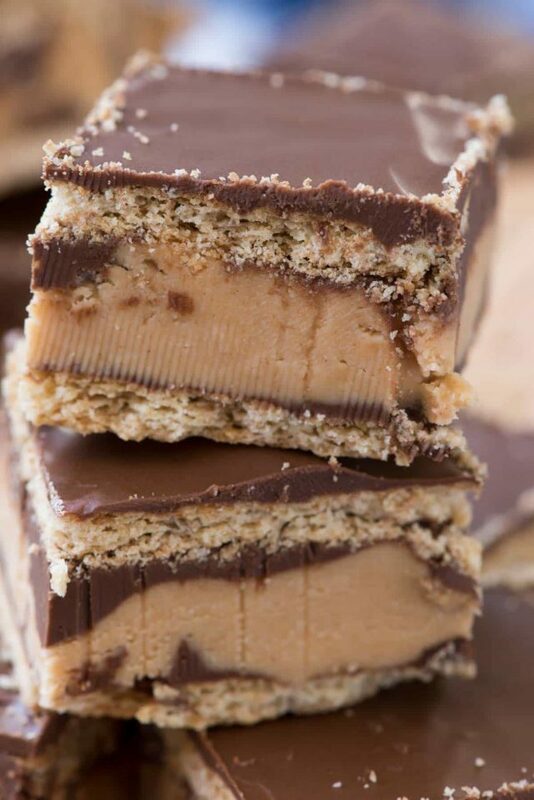 Use crunchy peanut butter for a crunchy peanut butter sandwich bar! These taste best at room temperature or a bit cooler, but if you leave them out too long they’ll melt (especially in summer). Store them in the refrigerator! Disneyland Peanut Butter Sandwich Bars - this no bake bar cookie is better than the Disneyland Peanut Butter Sandwich. Graham crackers sandwiched with a thick peanut butter layer and lots of chocolate! 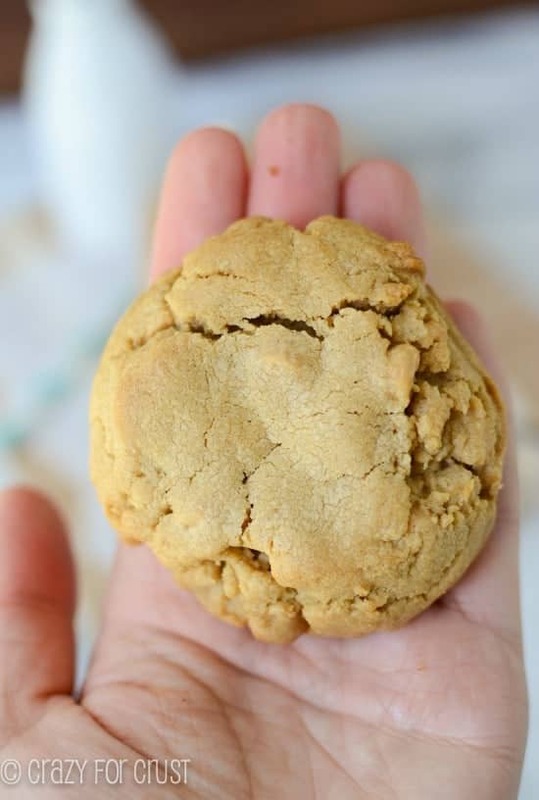 They're easier to make than the original peanut butter sandwich because they're bars - no dipping needed! Line a 9x9" square pan with foil or parchment paper and spray with nonstick cooking spray. Place chocolate chips and shortening in a microwave safe bowl. Heat in 30 second increments, stirring between each, until melted and smooth. Place half the graham crackers on the bottom of the prepared pan in a single layer. Spread 1/3 of the melted chocolate over the top. Scoop out balls of the peanut butter mixture, flatten between your hands and place evenly over the chocolate. Smooth out carefully with your fingers so it's as even as possible. Spread another 1/3 of the chocolate mixture over the top of the peanut butter, then layer with another layer of graham crackers. Spread the rest of the remaining chocolate over the top. Chill to set, at least 1 hour. Slice into bars. Store in refrigerator. 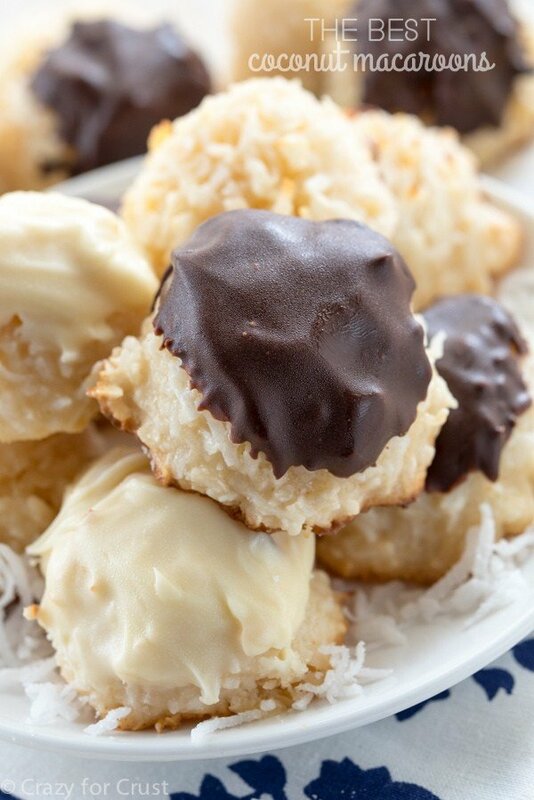 OMG, theses look wickedly good ( photography is good, too?). And these look easy enough to make for a popular bake sale item. Oh my goodness I would love these!! I have to try and make them soon x. Love this fresh seasonal recipe – so flavorful! Oh man Dorothy! Those things are the best!! And I’m with you, anything I have to dip is automatically on the “that’s hard” list. haha. Ok I didn’t even know these existed at Disney! Now I have to drive up there potentially just to check them out 🙂 And then make yours! They look insanely good! Can I use butter in place of shortening when melting the chocolate? These bars taste amazing and are sooo easy! My only problem was cutting them into clean squares. The bottom or top layer of graham cracker broke on half of them. Any tips to prevent this?